Awesome, I write in the sunroom but that is so much more fun! I would love this! Any space where I could have all my reference materials together. Time to oust the Child and take over her bedroom! It is an excellent book, no matter your date. ^-^ One of my favorites when I was in school. 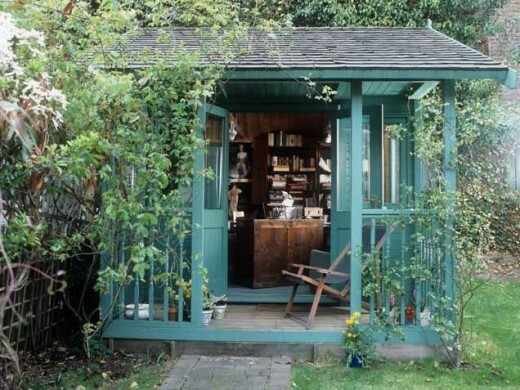 I’d love a little office with a porch, overlooking a garden. Heaven!